Booked a vacation to Malaga? Make it a trip to never forget by staying at one of the best hotels in Malaga! One of the hardest things to choose before starting your vacation is where to stay. Where is the best area to stay? Which style of accommodation will suit me best? Whether you are looking for a beautiful boutique hotel, a wonderful hostel, or a comfortable hotel that has it all, here are our top picks for the best hotels in Malaga! 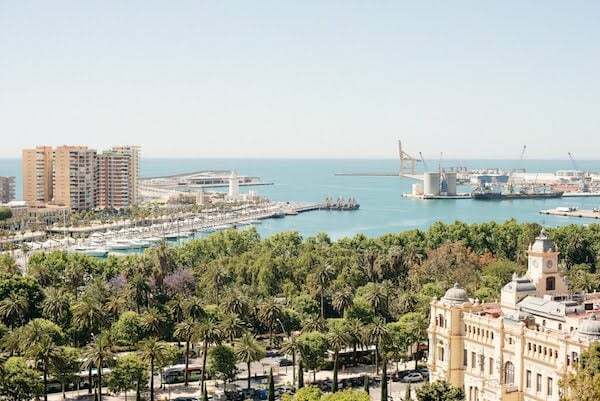 If you like great views, the AC Hotel Malaga Palacio by Marriot is the place to stay in Malaga for you! With 15 floors, this is the highest hotel in the city center of Malaga. From the rooftop, you can see main monuments like the Cathedral, as well as get fantastic vistas out over the port and the sea as well! It is perfect for a drink from the rooftop bar or a refreshing dive in the swimming pool. Want to escape the Malaga heat for a bit? Try a cocktail at the bar on the first floor! Next to the Cathedral and just a stone’s throw from the main shopping street, you’ll find Hotel Molina Lario. This is a modern hotel with all the facilities you need. If you are traveling by car, there is car parking located underneath the hotel. 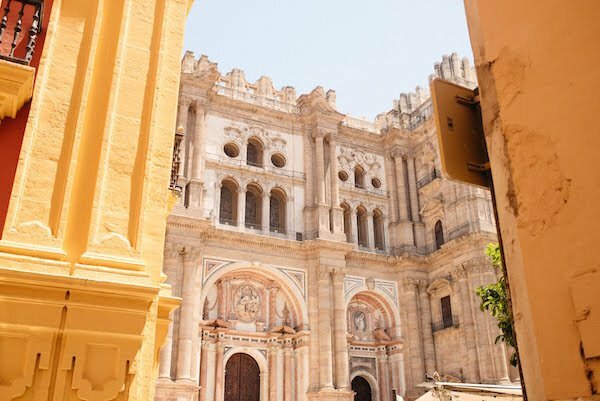 Malaga’s cathedral is stunning from any angle. No stay is complete here with visiting the impressive rooftop terrace. It’s spread out over the 6th, 7th and 8th floors. This creates smaller areas, giving the place a cozy and intimate atmosphere. And when you are looking to relax during the day, it’s the perfect place to lay by the pool with a cocktail in hand! 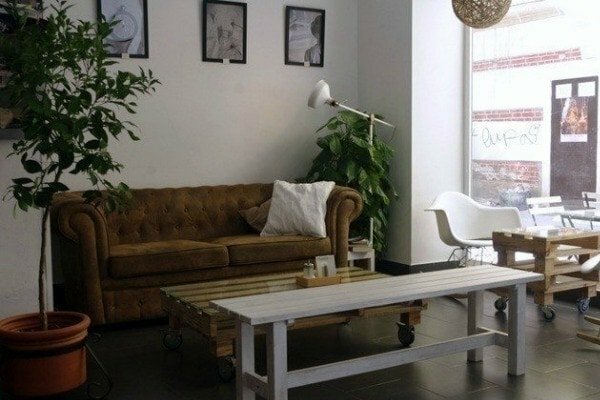 There are several Room Mate hotels in Malaga, but their latest addition, Room Mate Valeria is a great one! This is a great design hotel, located around the corner from Malaga’s arty neighborhood, SOHO. The park, harbor, and main monuments are not far either. Inspired by Malaga’s city gardens you find a lot of green and blue decorations inside. There is even a wonderful patio with big plants and lounge chairs to relax in. And of course, if you are in Malaga during summer, you can also get a tan next to the pool on the rooftop terrace. 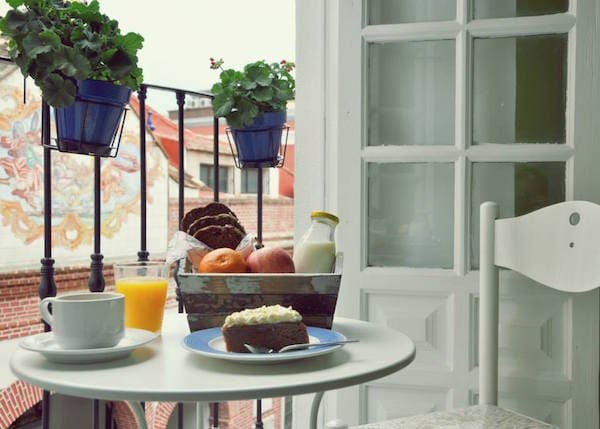 It’s one of the best hotels in Malaga for its mix of comfort, location, and price. For those who want to stay in a hostel instead of a hotel, the new and well-maintained Lights Out Hostel is a perfect option. 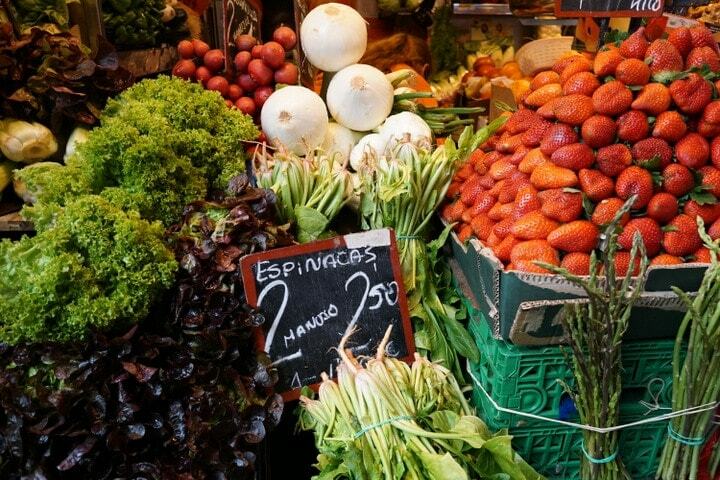 The local Malaga food market and the city center are both within walking distance, making it easy to explore the city. 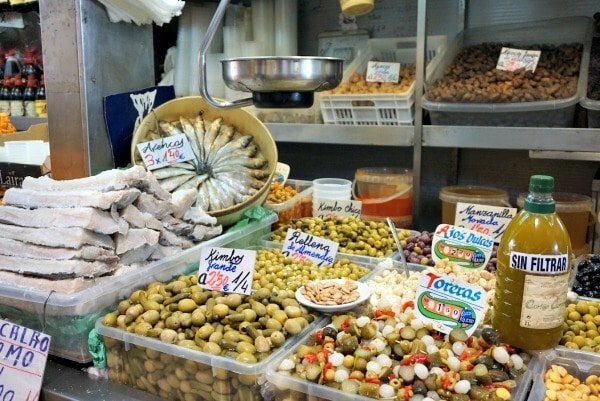 Plenty of delicious local olives and olive oil are among the colorful stalls at Atarazanas Market! The rooftop terrace is great to meet other travelers and enjoy some free sangria in the sun. At night you can join everyone for a shared dinner, or relax inside and watch a movie together in the indoor common areas. Named after one of our main monuments, Alcazaba Premium Hostel is found in the buzzing heart of Malaga! The building dates back to the 1920s but the hostel is a very modern place. It’s filled with modern art, decorating the rooms and corridors. They’ve even gone as far to make the elevator out of glass, so you can enjoy the beautiful paintings. The artworks are by a famous local artist, Antonio Gea. 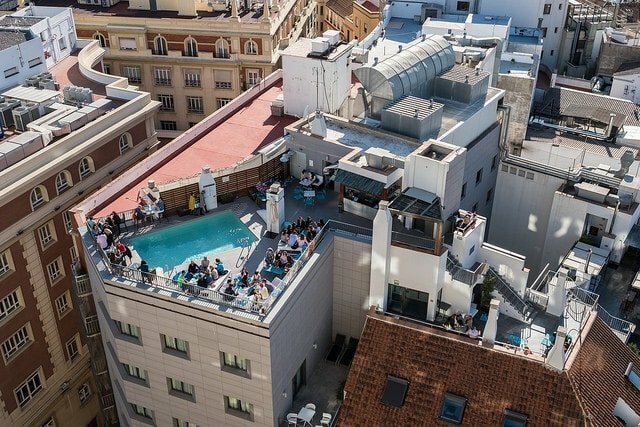 Although some of Malaga’s best bars and restaurants are found close by, there’s also a great rooftop bar on site! From up here, you will have an amazing view of the Alcazaba and our Roman Theater. This is a popular place even for locals to go for a drink at night when all the monuments are beautifully lit up below. “The comfort of a hotel, the charm of a boutique and the price of a hostel” is the motto of Dulces Dreams. And it is very true! Like the comfort of a central location but love quiet places as well? 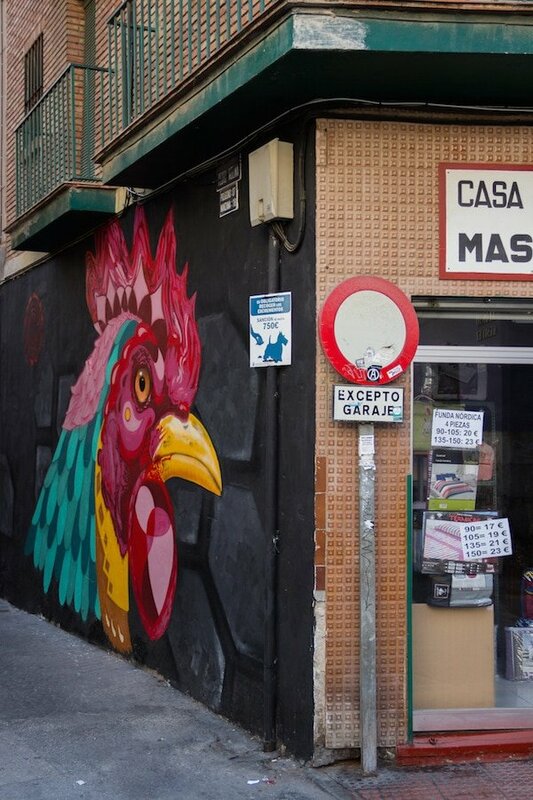 This cute hostel tucked away in the back streets of the city center is the place for you. The bar serves great salads and delicious cakes. All the rooms are decorated and named after different cakes and sweets. Extra tip: Staying here on a Saturday? Have a drink on the terrace outside. The perfect view of a local church gives you front row seats to Spanish weddings. Have you been to Malaga? Any top hotels or hostels we should check out next time?